DQ’d at the Spanish Open because he didn’t finish when doomed to miss the cut — he told Newstalk “I just had enough” — he was also DQ’d in the Omega European Masters in July and yesterday in the KLM Open. 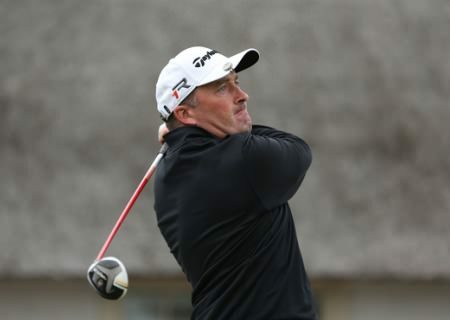 Having opened with a two over 72, the 44-year old Kells man was four under for the day and close to making the eventual three under par cut with five holes to go. But according to EuropeanTour.com he made a double bogey six at his 14th hole, the fifth at Kennemer Golf and Country Club, and then bogeyed the seventh and eighth. No score was recorded for the ninth but given than he was three shots outside the cut mark and out of the tournament anyway, it’s hardly surprising he did not record a score. The DQs, which have gone down as missed cuts on the Official World Ranking website, say it all about the pressures of top class sport. Before this year, McGrane had suffered just two others DQ's in his tour career — at the 2001 PGA of Austria Masters and in the 2011 Alstom French Open because of confusion over a dropping zone. It’s been tough year too for Peter Lawrie, who lost his card last season. But the Dubliner, who fell back to one over par for the tournament with eight holes to play, made four birdies in his last eight, including one at the last, to sneak in on the mark with a 69. Padraig Harrington also played well, posting a five under par 65 to share 49th on four under, leaving him one behind Simon Thornton, who shot a 68. Paul McGinley dropped three early shots and missed by three on level par after a 71 while Darren Clarke was two shots further back on two over after a pair of 71s. Kevin Phelan, who came into the week 107th in the rankings with 110 keeping their cards, added a 70 to his 73 to miss the cut by six. Phelan now needs a good week in Italy next week to ease the pressure on his shoulders as the tour enters the home stretch. As for the leaders, Phelan's ISM stablemate Matthew Fitzpatrick came within inches of an elusive 59. A day after Paul Lawrie and Wade Ormsby both shot nine under par 61, 21 year old Fitzpatrick went one better, narrowly missing out on breaking 60 when his birdie putt on the last came up just short. "I was just trying to get the read right on that putt on the last there – in fact I was thinking so much about the line I forgot about the pace of it, and it was a bit disappointing to leave it short," Fitzpatrick said. "I knew what I had to do on that hole, and hit two good shots in, but I was a bit unlucky that the approach span back down the slope. But it’s been a great day and I can’t have any complaints about a 60. I feel like I’m ready to win. I’m getting closer and playing well. Hopefully it’s only a matter of time." It was good enough to reach nine under, however, three shots behind leader Søren Kjeldsen of Denmark, the Irish Open champion. Kjeldsen matched his opening 64 – this time without any dropped shots – to lead by one stroke at 12 under par from England’s David Horsey and Australian Ormsby, with another Englishman, James Morrison, and Dane Morten Ørum Madsen on ten under. American legend Tom Watson, 66, signed for a two under par 68 to become the second oldest player in European Tour history to make a cut. “I’m so pleased to have made it to the weekend and get two more cracks at this great course,” Watson said. "I had to stay very patient today, and fortunately I was able to roll in a couple of birdies near the end. It’s tough to keep up with these young players - they hit it so far.